Strong Roots, the Irish-owned healthy food manufacturer, is to sponsor Virgin Media One’s coverage of the Guinness Six Nations. The company, which manufactures a range of healthy frozen vegetable-based products, will take over the broadcast and digital sponsorship as well as in-show promotions and a series of live social streams across the tournament. Strong Roots was set up in 2015 by Sam Dennigan and has grown its business substantially in the intervening period and now exports to a number of countries including the UK, France, Spain, Portugal, Hong Kong, the Middle East and Iceland. The opening day of the ‘Guinness Six Nations’ will kick off on Virgin Media One this evening, Friday February 1st, with coverage of France versus Wales match which will be followed tomorrow, Saturday Feb 2nd with Ireland’s eagerly awaited encounter with England. 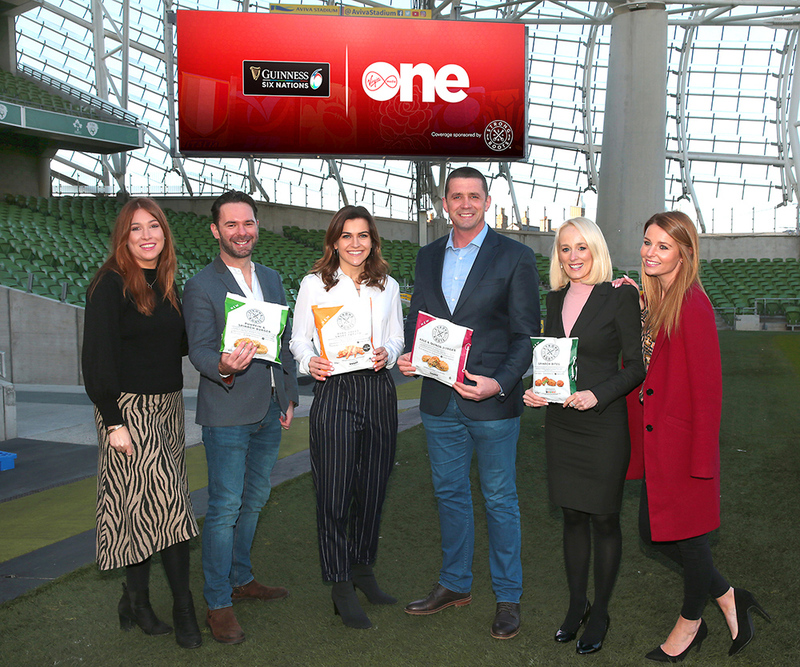 The multi-platform sponsorship deal was brokered by Core’s Sponsorship practice in collaboration with the media team in Spark Foundry and will include the broadcast sponsorship on Virgin Media One and digital sponsorship across Virgin Media Player, Virgin Media On Demand and across the ‘Guinness Six Nations’ hub on virginmediatelevision.ie. Sarah Geoghegan, Brand Partnerships Account Manager at Virgin Media Solutions said: ‘’Virgin Media Solutions are delighted to partner with Strong Roots on their sponsorship of the Guinness Six Nations coverage on Virgin Media One. It’s fitting to have a strong Irish brand as a partner, with Irish rugby at an all-time high. We look forward to working closely with Strong Roots to deliver a fantastic partnership, and showcase the power of television sponsorship at its best.